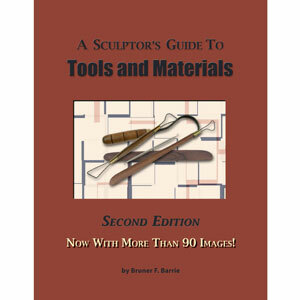 Discusses the uses and functions of sculpting tools and materials used in traditional sculpture. Explains how tools are made; answers questions frequently asked by store customers and students of sculpture. Charts on proportional requirements of materials, weights and measures, plus an extensive glossary are also provided. 148 pages. Click on the image of our online copy of the Guide to launch the flipbook. Best viewed with Adobe Flash Player.